No more tarps on the ground! Our inflatable beach themed slip-n-slide with entertain your party guests on a hot day! 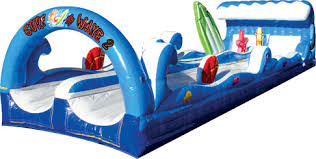 This is one sweet looking inflatable with two slide lanes.